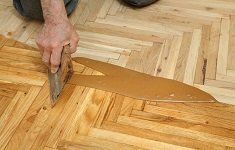 Although hardwood floors have been used for centuries, the way the wood is treated with stains, varnish, polish, and various finishes has changed dramatically over that time. The use of chemicals during the 20th century permeated throughout our lives. Lead in paint, petrol, various chemicals in plastics and even wood floors. The ongoing troubles for Lumber Liquidators in the USA show just how dangerous some chemicals in wood flooring can be. The amount of formaldehyde emitted from some of Lumber Liquidators’ laminated floor products are known to cause cancer and their case is not unique. These finishes are based on natural oils and waxes and are designed to penetrate into the wood surface to protect it from deep within. The waxes form an elastic, micro-porous surface which protects the wood from moisture and abrasions. In fact, the oils, waxes, and pigments that form the basis of these products are so safe that they are classified as “food safe”. Of course, we don’t advise digesting them, but these are some of the safest and eco-friendly wood floor products available. I never knew timber flooring could be so hazardous. What a great article.